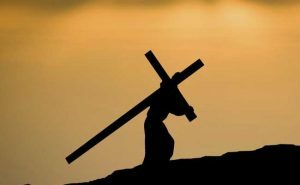 Stella Maris Academy | Living Stations of the Cross – Today at 2 p.m. Living Stations of the Cross – Today at 2 p.m.
We hope you can join us today in the church at 2 p.m. as the 8th graders present the Living Stations of the Cross. Also, a reminder that tomorrow we will be having a prayer service in the church at 11:15.